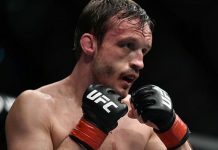 When it comes to fun, must-see fighters in the lighter weight classes, British MMA legend, Brad Pickett has been one of the names that always came to mind for the better half of the past decade. 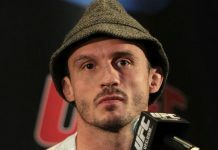 London’s Pickett retired in March 2017 after a rough third round knockout loss to Marlon ‘Chito’ Vera in a fight that he was winning up until that point. The loss extended Pickett’s current skid to three straight. 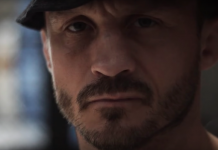 After acknowledging that it was his time to hang up the gloves, Pickett has been coaching for the better part of the last year but now has that itch again as he has signed with ACB and will debut for them in his home of London on August 11th. With the reveal of the news and no opponent yet, MMAFighting spoke with Pickett where he shared who he wants to fight in his debut. Both Pickett and Takeya Mizugaki are WEC and UFC veterans which indeed makes it a bit of a surprise that the two have never crossed paths before. Mizugaki was released from the UFC in 2016 and has fought for ACB three times since and gone 1-2 in the process. With Mizugaki’s last fight coming just this past month, it doesn’t seem like too crazy of a thought that he could be Pickett’s first fight back. This article first appeared on BJPenn.com on 6/14/2018.